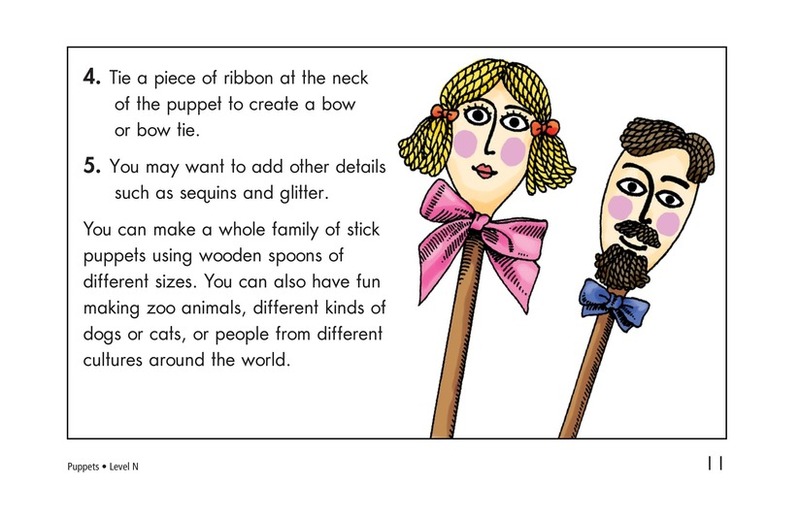 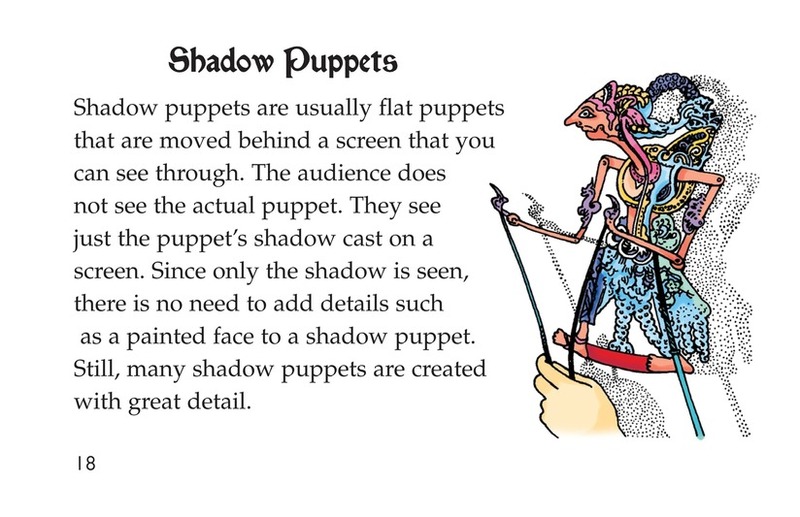 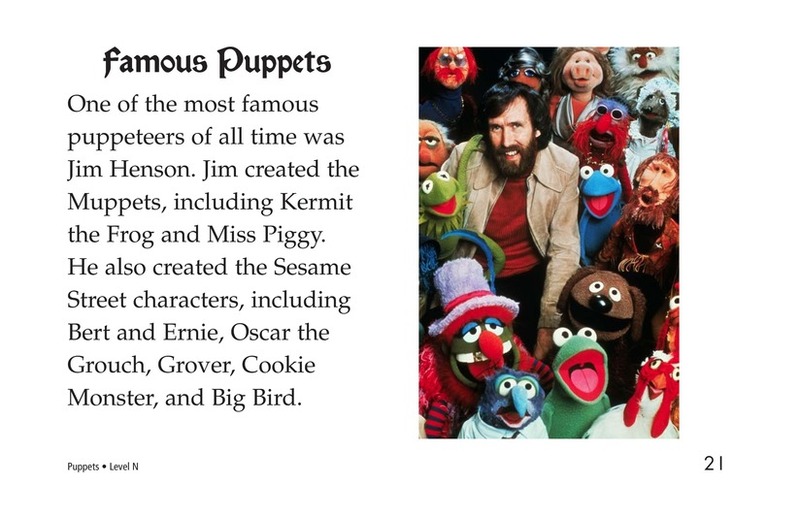 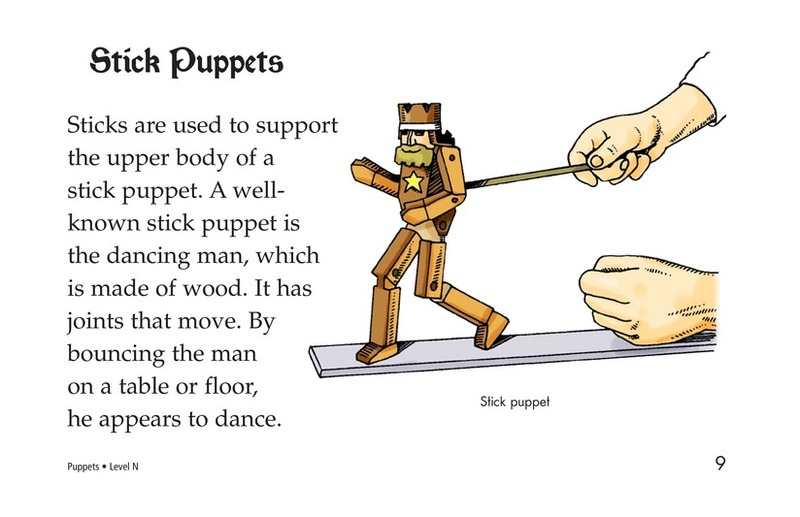 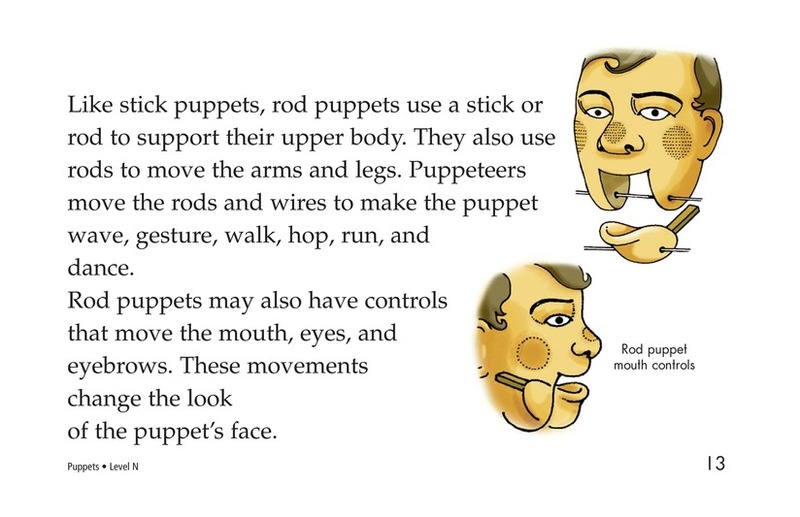 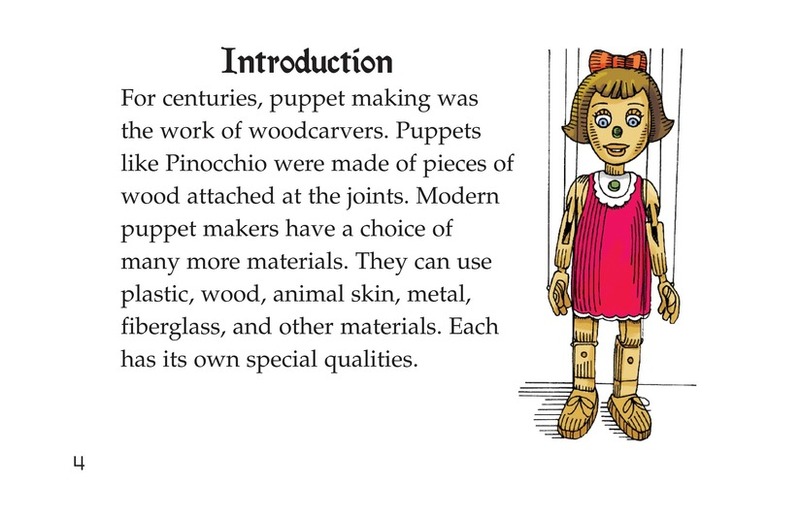 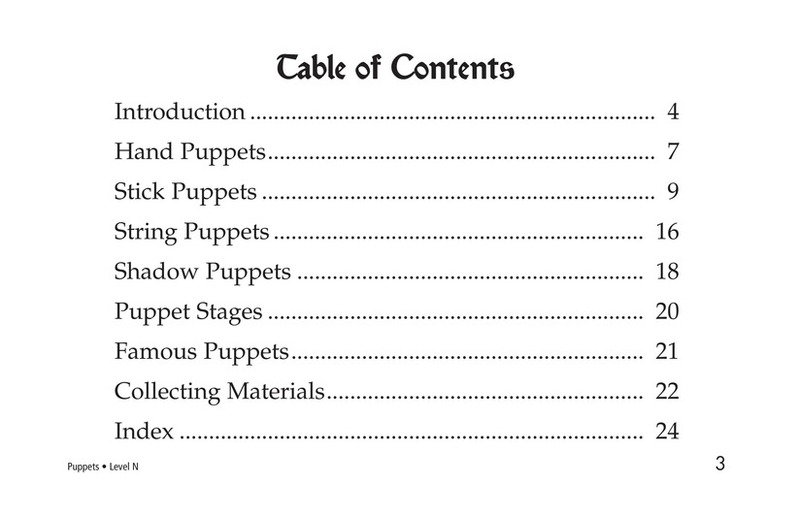 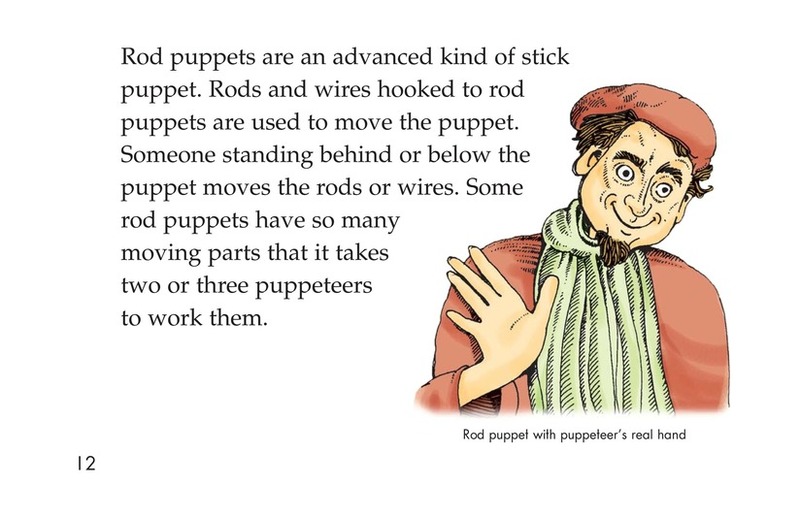 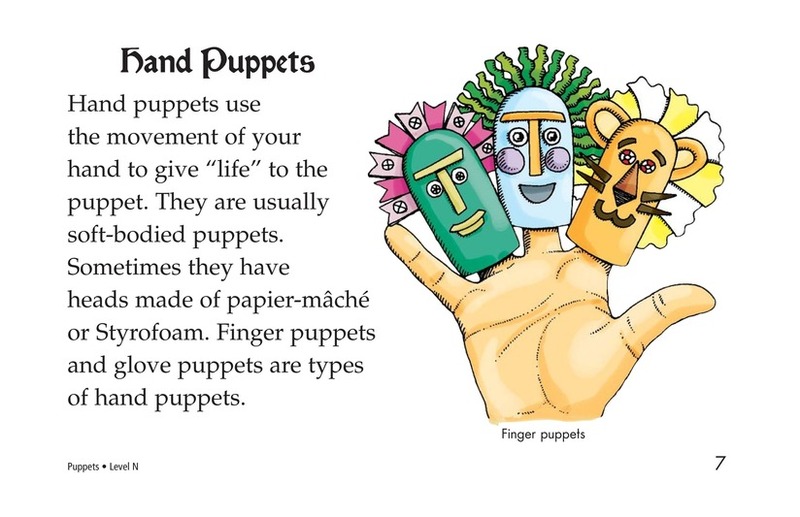 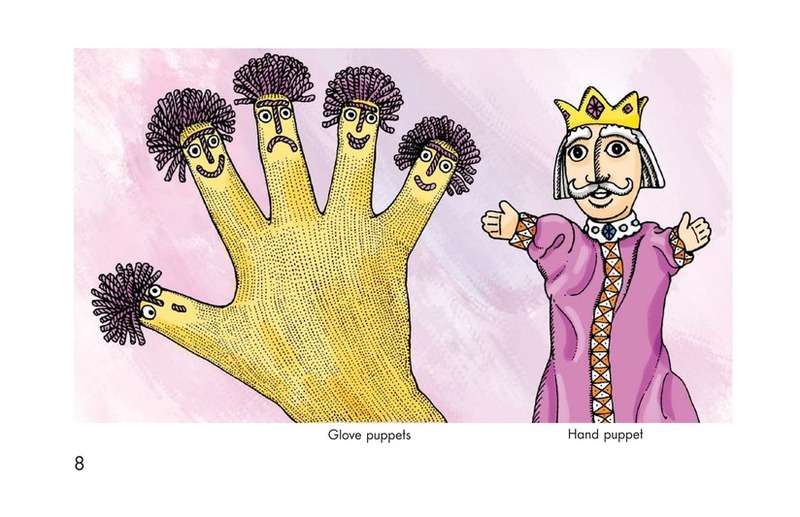 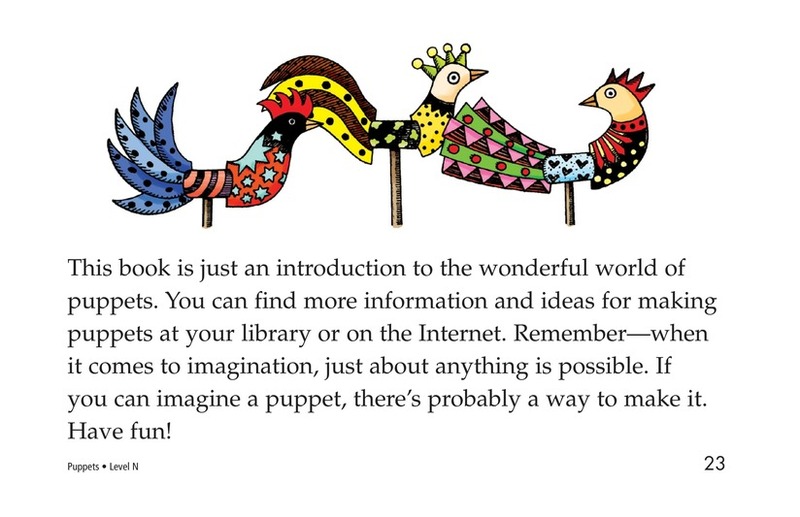 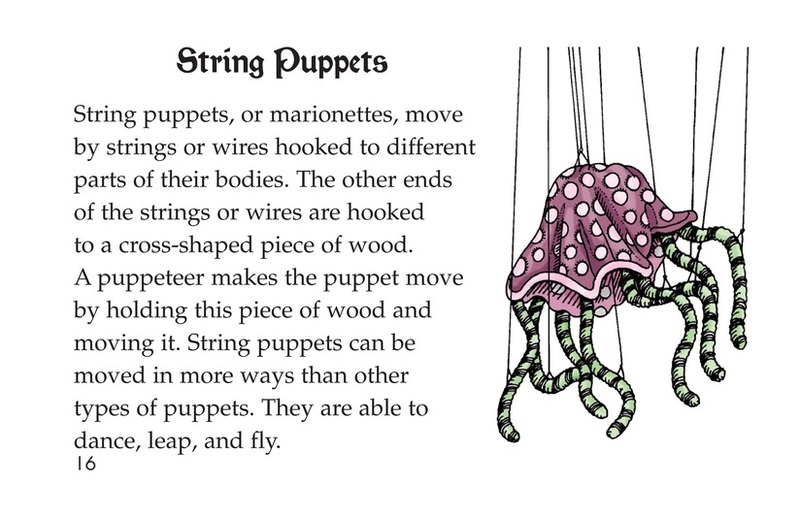 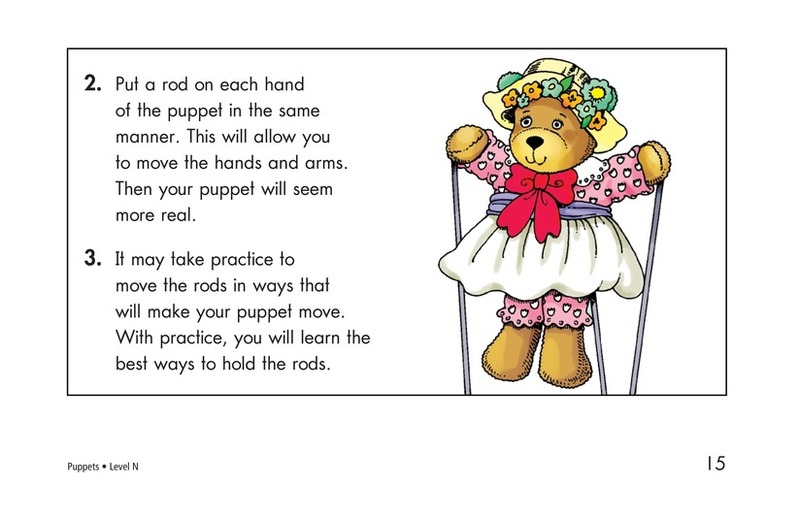 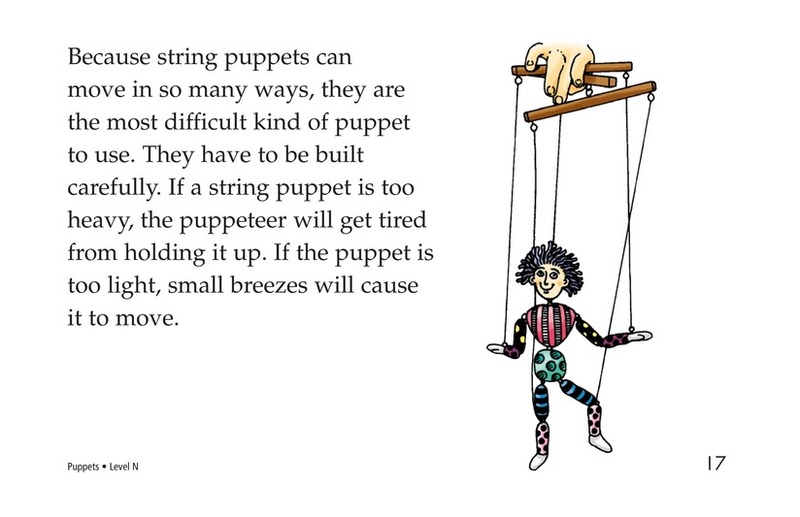 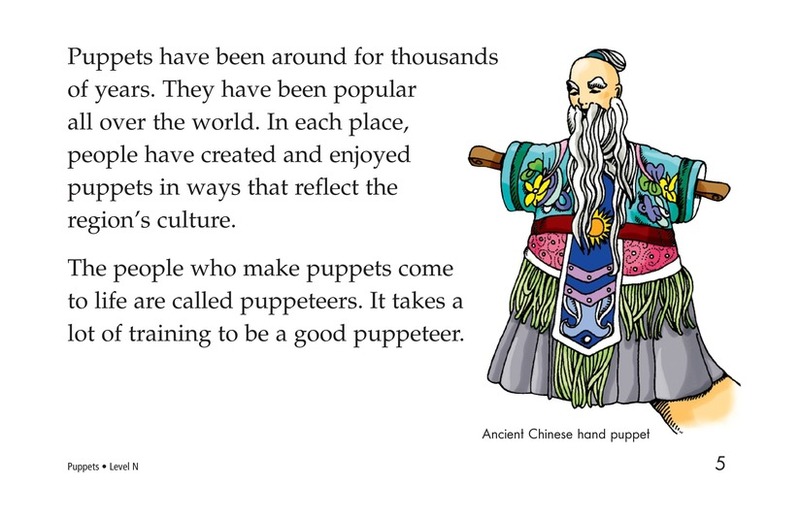 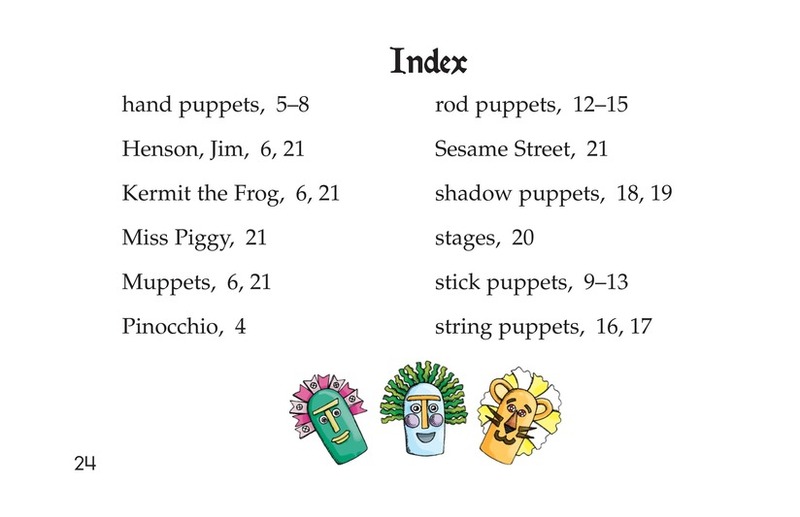 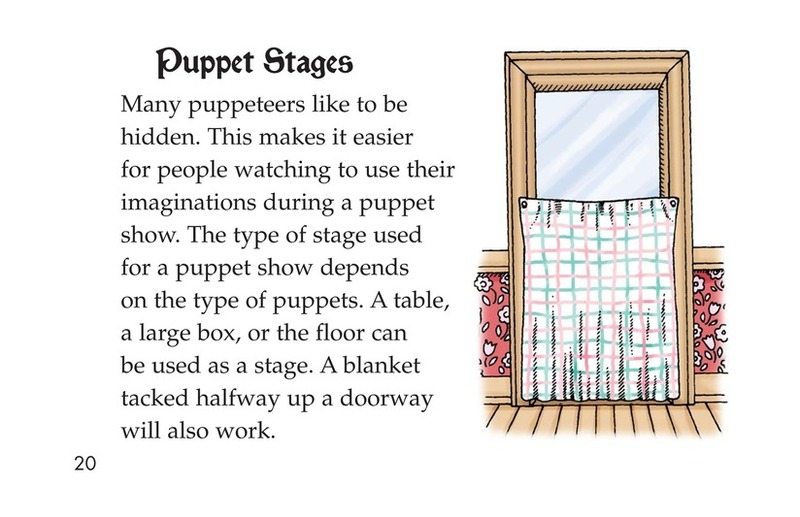 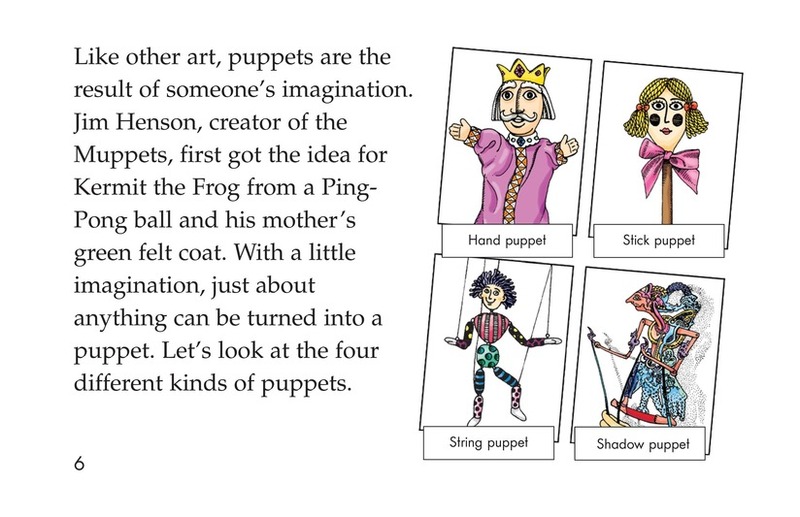 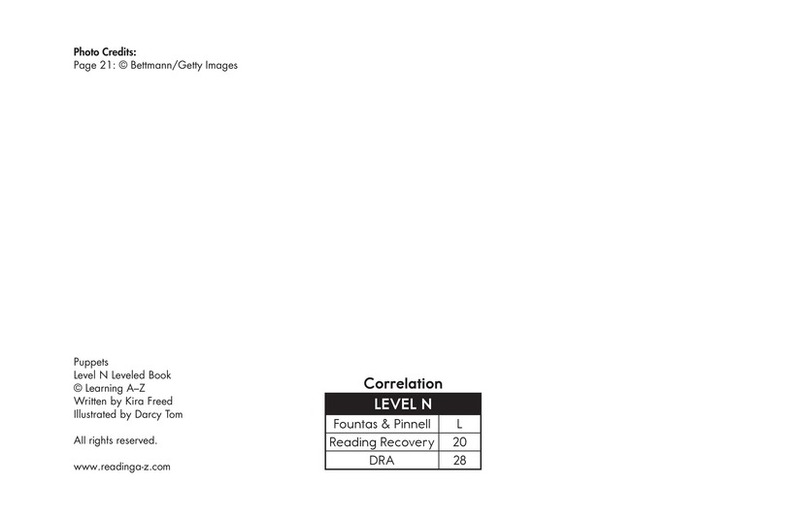 Puppets is a book that teaches readers about the four basic kinds of puppets and how they are operated. 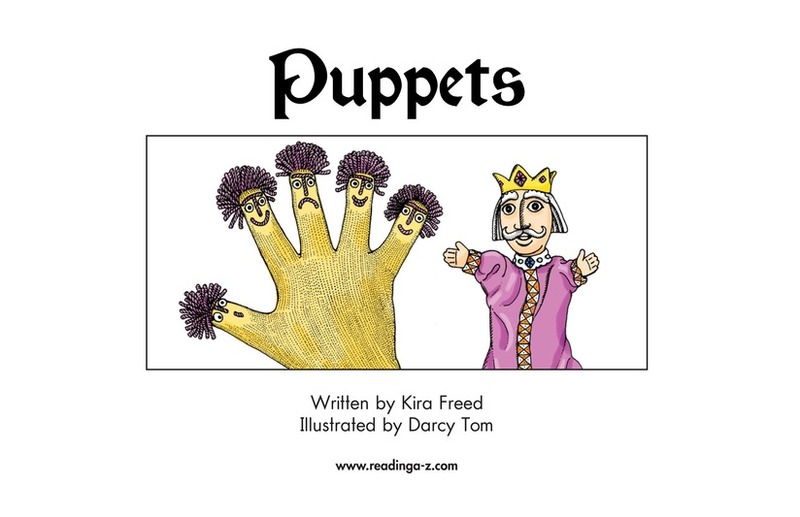 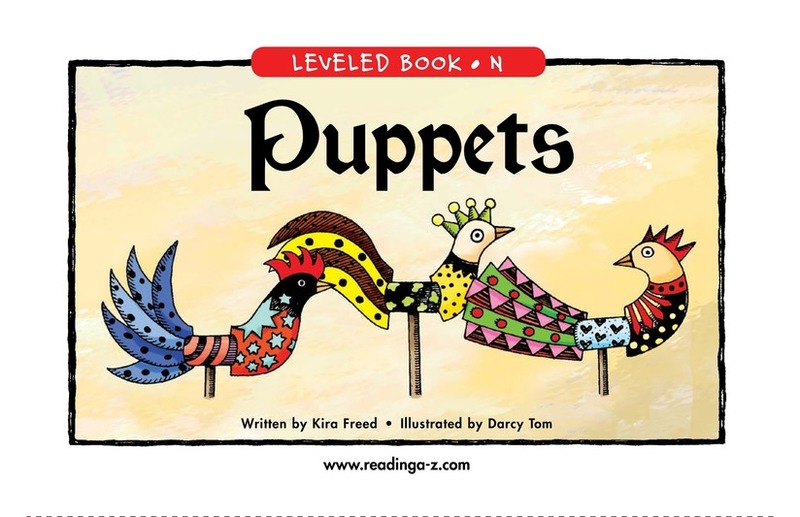 Readers are introduced to some famous puppets and to different kinds of puppet stages. 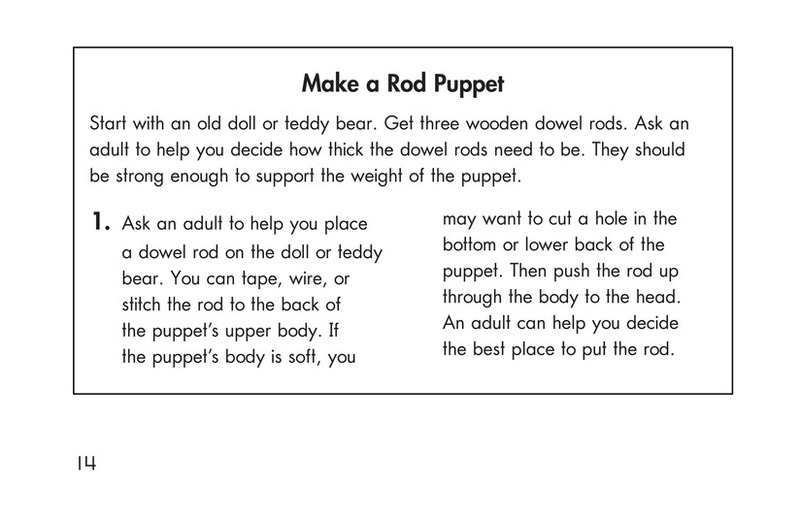 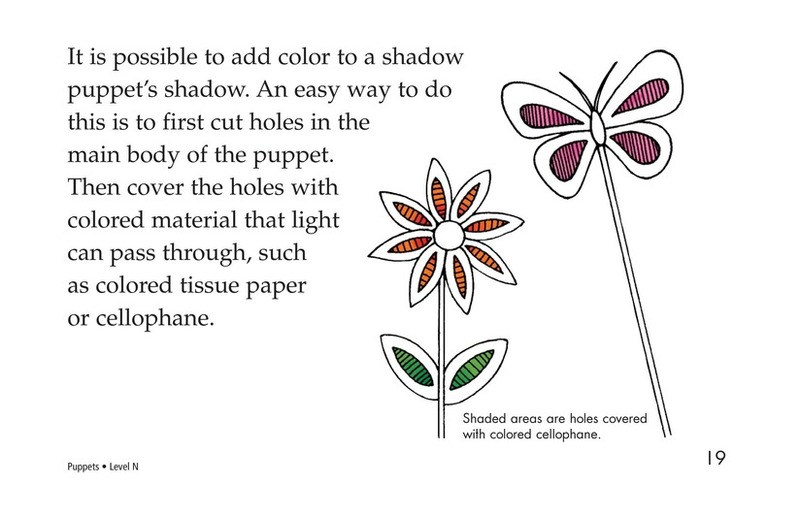 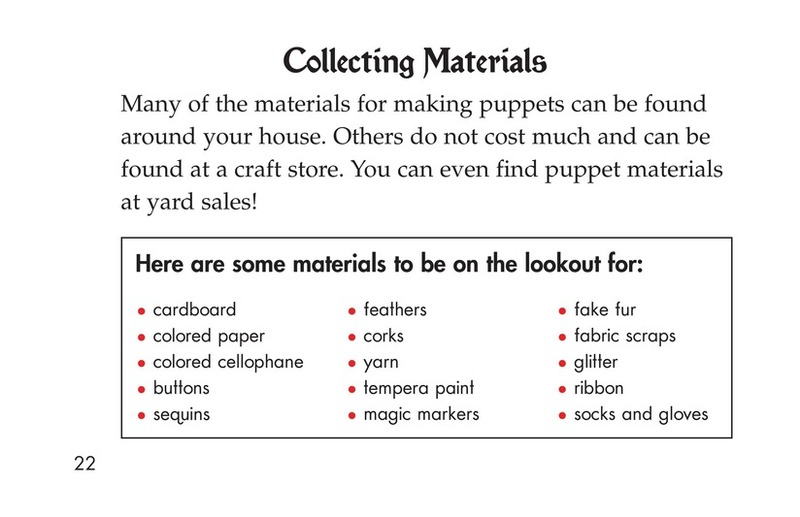 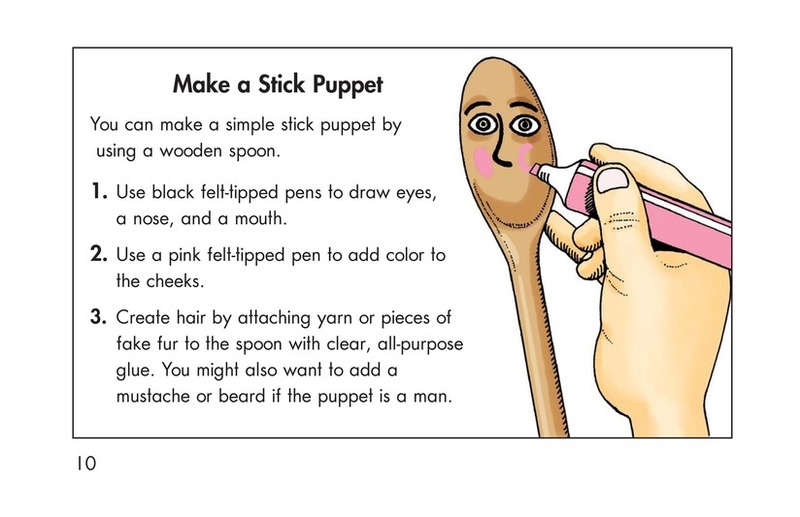 The book also contains instructions for making several puppets.